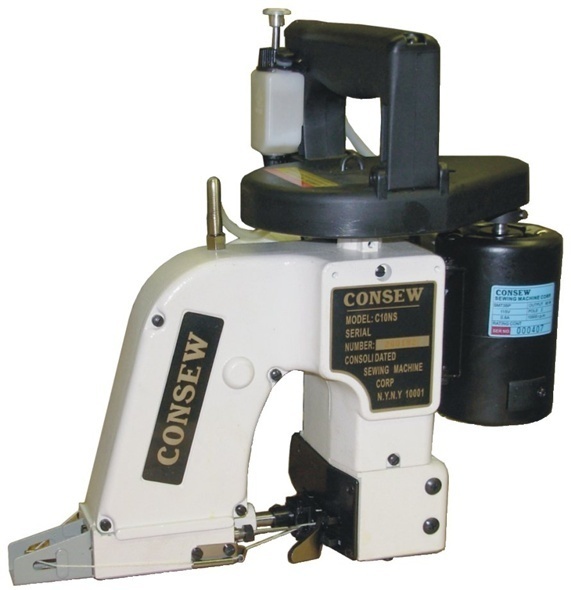 Consew Bag Closer, Chainstitch, 1 thread 110 volt. Uses popular type thread cones. after the bag is closed. use without loss of portable features. Applications; Designed to close bags made of such materials as jute, cotton, linen, paper, burlap, plastic and waterproof materials. Suitable for plain and folded top closures. Used by packers of flour, grain, fertilizer, feed, chemicals,seed, coffee, sugar, salt, grocery staples, minerals and other products.